Why Do We Have Heart Problems? Heart Problems, despite increased understanding of heart disease risk factors and the need for preventative lifestyle changes, patients suffering the most severe type of heart attack do so at a younger age. They are more obese and more likely to have preventable risk factors such as smoking, high blood pressure, diabetes and chronic obstructive pulmonary disease, according to a new study. Source: American College of Cardiology. Hypnosis may assist changes to heal Heart Problems. We all know that prevention is better than cure. And you and I need to take ownership of what we are doing that isn’t helping to keep us healthy. But if you are on this site because of some bad choices that you have made in the past, lets see what is able to be done to put things right now and how hypnotherapy may be able to help you do that. STRESS –If you want to avoid a heart problem take note that a major study lent support to the idea that chronic stress can increase your risk of heart attack. So it makes sense to learn how to remove stress from your life and learn how to relax. HYPNOSIS: Self-Hypnosis, Visualisation, meditation and releasing past emotional stress causing events will help you to do this. DIET – Diet is one of the key lifestyle factors for heart problems involved in the formation, prevention, and control of disorders like diabetes, heart disease or stroke. Studies (both experimental and observational) have suggested that chocolate consumption has a positive influence on human health. With antioxidant, antihypertensive, anti-inflammatory, anti-atherogenic, and anti-thrombotic effects as well as influence on insulin sensitivity, vascular endothelial function, and activation of nitric oxide. These beneficial effects have been confirmed in recent reviews and meta-analyses, supporting the positive role of cacao and cocoa products on cardiovascular risk factors such as blood pressure, cholesterol levels, atherosclerosis, and insulin resistance. However, most of the existing evidence is on intermediate factors of cardiovascular disorders, and it remains unclear whether chocolate consumption is related to reductions in hard cardiovascular outcomes (such as myocardial infarction and stroke). Green tea, which originates in China but is now consumed throughout the world, is made with pure leaves, and has undergone little oxidisation during processing. The cardiovascular benefits of all teas – as well as dark chocolate, red grapes and red wine – are attributed to the flavonoids they contain and their antioxidant activity. Oxidative stress, which has been associated with many human diseases, can be reversed by antioxidant intake. Exercise – Exercise can counteract muscle breakdown, increase strength and reduce inflammation caused by aging and heart failure (according to a 2012 research in Circulation, an American Heart Association journal). Overweight and obesity are associated with increased mortality from cardiovascular and metabolic causes, whereas exercise training protects against premature cardiovascular mortality. 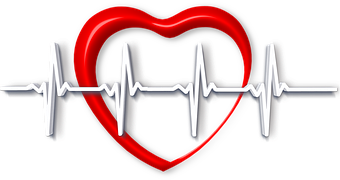 And, if you look at one of my client studies under the article ‘Arrhythmia‘ you will see that this happened after a heart attack and we used the mind to put him back on track to a normal heart beat without surgery – and that was 15 years ago. Mind, he was a special man whose attitude helped tremendously. A Russian Scientific research has shown that your DNA can be reprogrammed by words and frequencies in a deep relaxed state. That is why hypnotherapy will be able to assist you to make changes easier.